Are you a little disturbed that there is a comic called The Book of Bunny Suicides? I am, although I have to say that I did see this book before and it is kind of funny in a dark way. 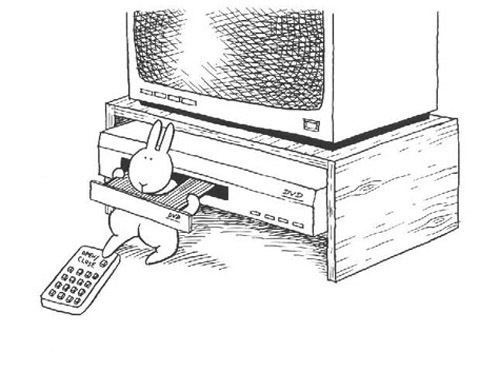 The bunny is trying to commit suicide and gets rather inventive with it although I don’t think he ever succeeds. This comic is being taken off the shelves in China in response to a high youth suicide rate but I doubt it is causing the suicide rate to go up. I guess its just the doubt of popularizing and making suicide seem less serious along with the amount of ways that the rabbit tries killing itself that makes it seem dangerous.